Canada’s oil sands have always been controversial. Despite their economic benefits, critics are concerned over the environmental damage the oil sands cause. Alberta’s oil sands are surrounded by pristine wilderness, and development has caused what is considered irreversible damage. However, a number of Canadian companies are working to return the area to its natural state. With companies such as Syncrude pumping up to $60 million a year into researching land reclamation techniques, Canadian oil field companies are on the cutting edge of oil sands restoration efforts. Alberta’s oil sands are located under an area covered by dense Boreal forest and wetlands. In order to extract the petroleum from the ground, large swaths of forest must be cleared to make way for open pit mines, or steam must be pumped into wells to separate bitumen from the soil. The waste water generated by these processes is stored in highly toxic “tailing ponds,” which account for about 25 per cent of the area disturbed by oil sands development. These ponds are one of the largest problems for environmentalists. To be certified as reclaimed, any traces of man-made impact must be removed, and the land must be capable of generating native plant and animal life. This makes reclaiming wetlands complex, due to the diverse mix of life contained therein. Can a Forest Be Rebuilt? 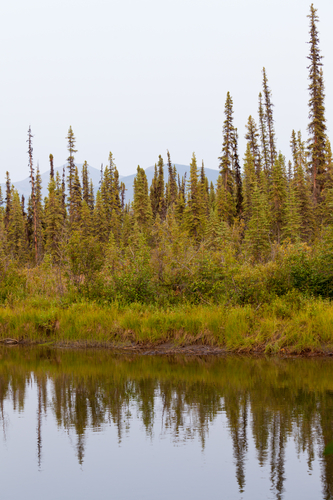 A number of companies operating in the oil sands region are doing their part to ensure that disturbed areas are restored to their native Boreal forest. Collaboration between industry heavyweights such as Shell Canada, Suncor Energy, Nexen Energy and Husky Energy has resulted in 2.5 million trees and shrubs being planted. The project has replanted about 700 hectares of land disturbed by industrial development. Replanting these areas rather than allowing them to regrow on their own ensures that the areas are not overtaken by invasive plant species and that animal habitats are not disrupted. Completely restoring the wetlands disturbed by oil sands development is the greatest challenge of land reclamation. Syncrude’s Sandhill Fen research project, however, is making strides. The purpose of the project is to create a sustainable wetland environment and share successful techniques with other companies and organizations. This has resulted in a 50 hectare, man-made pollution-free watershed built from tailing sands. Although no animals have been reintroduced to the area – as it is still part of an active mine site – some animals have begun to return on their own. Other projects, such as Suncor Energy’s Nikatonee Fen, have achieved similar success. The removal of tailing ponds is another key priority in restoration efforts. The most important development in this aspect of cleanup has been Suncor’s centrifuge plant. The centrifuge returns the water from tailing ponds to its natural state by spinning it rapidly to remove the solid pollutants. The plant became operational in early 2015 and is expected to reduce tailing ponds by 50 per cent.